Caption : Kochi,20/05/10. P.T. 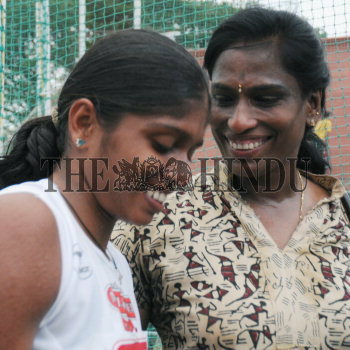 Usha and her talented trainee Tintu Luka at the National Open athletics in Kochi on May 18, 2010. Photo:H.Vibhu.